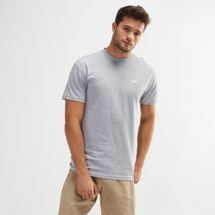 A key trend to invest in this season is the graphic tee and the Sun & Sand Sports online store offers a huge assortment of designs from note-worthy labels to keep you on par with this rising trend. Browse the latest range of men’s and women’s t-shirts with us today. 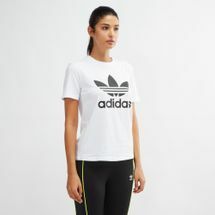 Get the sports-luxe look with a unique variety of graphic t-shirts available in a range of sizes and designs to appeal to your sportier side. From long sleeves to short sleeves, the graphic t-shirt is a bold, vintage-inspired trend with options full of artistic details, from photo-designs to cool typography. For both men and women, the Sun & Sand Sports online store makes sure you stay in touch with your sportier side while staying up to date with the graphic tee trend. Featuring fabrics like, cotton jersey and technologies to suit your lifestyle and sporting activities, our selection will keep you focused on your day-today adventures and activities. Break away from the norm and enhance your lifestyle and performance with unique and totally collectible graphic t-shirts that have now won our hearts. There is no easier way to upgrade your wardrobe and make a stellar statement than with a cool graphic tee that also reflects your personality. To stay updated on the latest trends, lifestyle and sports news, head to our blog – blog.sssports.com. Shop with ease from the comfort of your home and without worrying about how to collect your purchases. We are here to deliver your picks to your doorstep in Jeddah, Riyadh and all over KSA.